Star automations provides complete solutions for the support and maintenance of high value electronic Printed Circuit Boards (PCBs) and servo amplifier modules. We are an electronic engineering company specializing in Repair and Reverse Engineering of servo Amplifier Products. 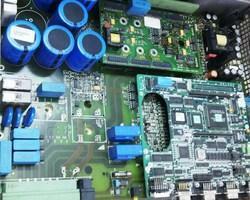 We are offering a large assortment of Amplifier Repairing Service to our valuable customers. These offered services are rendered using the high-quality repairing tools. After rendering, our quality team experts check these repairing services to fulfill the requirements of clients. H-Audio is a excellent service place for all the DJ's Equipments like Pitches, Amplifiers and Controller etc. We repair a wide range of products, LED and LCD, Amplifier, Subwoofer, Projector, Blue Ray Players, I Pod, Bose. All of our repairs come with exclusive benefits including a free in store consultation, fixed price repairs including parts for household appliances and collection from your home for TVs. Our company is well known for providing AV Amplifier Installation Service to the clients. This is rendered by a team of accomplished professionals with the help of newest tools and machinery keeping in mind well-defined industry norms. This service is provided according to the requirement of the patrons.